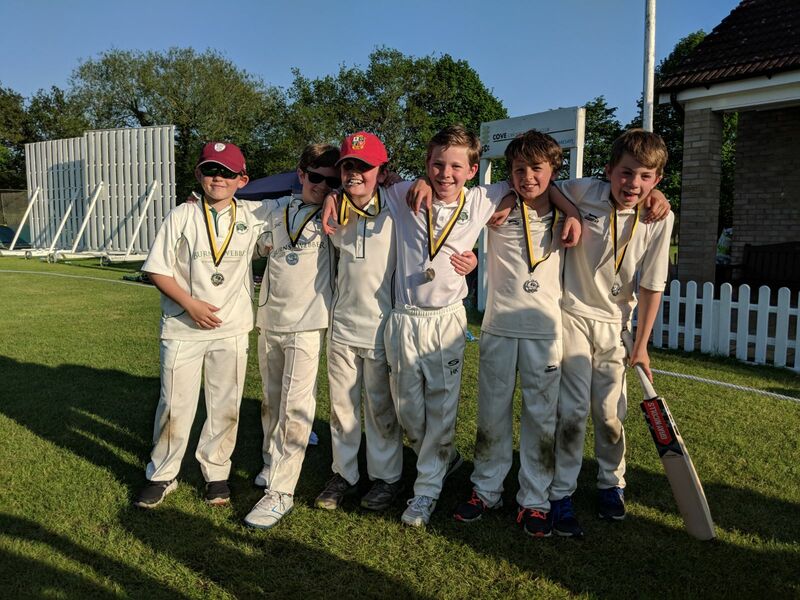 RCC was represented by three U11 boys teams and two U11 girls teams at the Cove super sixes tournament on Bank Holiday Monday (May 7th). It was a very enjoyable day and all the teams did well. One U11 boys team were runners up in the final against Hook (who also won it last year), and one lost to Hook in the quarter final. The U11 girls had a great day also. The Rowledge Racoons won and the Rowledge Ravens came 3rd. A great fun day, although incredibly hot. Girls were great.